Imagine that a storm blows across your garden and that now, genetically-manipulated seeds are in your crops. 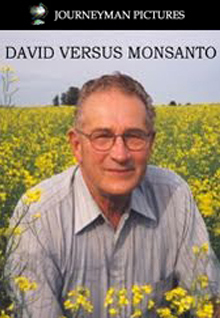 A multinational corporation pays you a visit, demands that you surrender your crops – and then sues you for $200 000 for the illegal use of patented, GM seeds. In this definitive David and Goliath battle, one farmer stands up against a massive multinational, and their right to claim ownership to a living organism.